The newest trend in the design industry is the ability to harness three-dimensional real time computer generated graphics that capture design elements from different angles and perspectives. We are now able to show perspective renderings that are vivid and not only to scale and size but more importantly, convey the scope and feel, the emotion if you will, of what the design will actually look like when built and implemented. 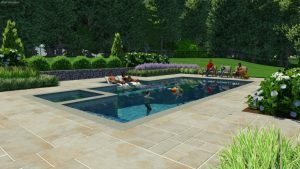 Our design professionals at IVY Studio employ these latest design tools in their practice and create beautiful video presentations of the design renderings and how they relate to the home and the land on which it is situated. We are IVY Studio, a landscape design and build consulting firm based in the metro Boston area. Contact us at 781-591-0300 or vern@ivystudioMA.com to learn more about our design process where we bring your ideas to life.